Thank you Bicycle Lab for supporting Genesis Home's work to end homelessness one family at a time! Based in Carrboro, NC, Bicycle Lab is a small business that offers one-on-one bicycle fitting and mechanical services. They also design and build beautiful custom road and triathlon bicycles under their own Karma Cycleworks brand. They even have a newsletter that offers tips on fit, pedaling dynamics, and general training. All of a sudden it seems that I have a race on Saturday....and an Olympic distance one at that! Last year, building to this distance was my ultimate goal. 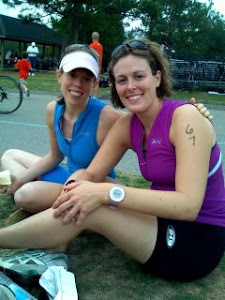 This year I've been so busy with life, work, and training for my first half-iron, that this race has snuck up on me. Perhaps that's a good thing, as I tend to swim, bike, and run faster when I'm not overthinking it. We'll see how this new "sneaky approach" actually goes! Well, it's a brand new race to me, but not a brand new distance. I know it will be challenging. I know that it will be just long enough. I know it will hurt. And so, my intention is to look for the pain - especially on the run, especially around mile 4 of the final 6.2. I intend to seek out the pain, to invite it in, to study it, to see what it has to offer, to make friends, to accept it -instead of fighting it with every step. Often times avoiding pain has led to homelessness for the parents living at Genesis Home. They choose to continue an addiction because their fix quells the pain. They choose destructive relationships because of the pain and loneliness that self-efficacy sometimes brings with it. They choose to drop-out of school because the pain that might arise if they don't measure up. All pain is different. All pain is the same. On Saturday, we'll be facing the pain together. "Nachos are a super food." - My husband at last night's Chicago Cubs game. Since my dear friend over at Walker Runs commented that it's been a while since I last posted, here's a quick note on what I've been up to this week. Simply put, my last post lit a fire under me and it's been a incredibly productive week of working and training. The alarm has sounded at 5 a.m. every day this week and I've dutifully- and even joyfully - completed many hours of very ambitious, force-focused swimming, biking, and running and have checked-off some huge items on my work-life list. The challenges this week has presented have also been fodder for some great- and no doubt profound - posts that will have to keep swimming around in my head until next week, as I'm now in Chicago for the weekend, logging lots of miles around the lake. Everything will fall into place when…. At work, at home, in training, with fundraising, amid the little annoyances and the big dreams alike, I’ve been putting things off, endlessly re-reading the to-do list, mentally re-configuring training schedules – and somehow thinking that IT will be somehow better or easier or make more sense (and that I will somehow be better, faster, smarter, more worthy?) when…..
Then on Friday morning, during our long run, my Sage Endurance teammate Claire reminded me that ‘when’ is always NOW. Now is always the moment in which we are creating the life we’re leading and now is always the moment in which we have the opportunity to create the life we want to lead. It’s always now. Basic and profound. As our coach reminded us of in her recent blog post, even when we know this truth, it’s so easy to forget it as we putter away minutes, mark the 9 to 5 cycle, and watch weeks click off the calendar never to be recaptured. In the office: I won’t raise that idea because I don’t yet have it all figured out. But somehow there’s always more to figure out. Thinking of racing/ life/ professional goals: I can’t do that job, distance, speed, title yet because I might not do as well as I want to. But, somehow, I always want to do better. Really pushing personal limits in training: I’ll wait until next week when I’ll have more sleep, time, mental preparation to really go for it. But, somehow there’s always more I need to do. For some of the single moms living at Genesis Home, I bet it's similar: I’ll look for that job, complete that school application, deal with my emotional issues later, when I’m really, REALLY ready. But, somehow I could always be more ready. For me, for this week, my answer to question of when is going to be NOW. In my training, in my work, in my life. It's now. Everyday that I get up and do the work and live each moment of the life I want, it becomes more true. Over the last two years, I've learned a lot about endurance sports best practices. From heart rate training to functional strength work to plyometrics, I've become a student hungry for the the information that will most effectively and efficiently help me reach my goals. Those working to end homelessness also care a lot about best practices -- and, according to Genesis Home Executive Director Ryan Fehrman, those best practices are changing. Read his thoughts below. When visitors come for a tour of Genesis Home, someone will invariably ask about the reasons that bring families to the shelter. The “cause of homelessness” is a statistic that the agency tracks for its state grant funding and over time this measure can reveal underlying trends in the homeless population. For many years, unemployment, underemployment, and domestic violence have been among the leading causes of homelessness for families at Genesis Home. The last several years have seen another indicator cited with increasing frequency: Mental Health and Substance Abuse issues (MH/SA). In 2007, 46% of heads of household living at Genesis Home reported MH/SA issues upon admission to the agency. The paradox for shelter providers is that while MH/SA issues are clearly a contributing factor to the homelessness of both families and individuals, these same issues can make the communal nature of the shelter a less than ideal setting for housing those with special needs. Shelters have rules. They often house dozens, if not hundreds, of clients. The environment can be extremely stressful, especially so for those struggling with the twin demons of mental health and substance abuse. In the words of one Genesis Home client, “When you’re dealing with mental issues it’s extremely difficult. It’s not something you can fix quickly because it’s on the inside, and stressful situations – like being homeless – make it worse.” Out of this reality has come a new approach to addressing the needs of the homeless: Housing First. Rather than moving clients through the traditional continuum of emergency shelter to transitional shelter to permanent housing, Housing First emphasizes that homeless individuals retain housing at higher rates when moved from non-housing directly into permanent housing with supportive services. Rather than treating housing as a privilege to be earned, housing is seen as a universal right. This new model is being promoted by the U.S. Interagency Council on Homelessness as a cheaper, more effective means of combating an age-old problem. Cheaper in that paying market-based rents for formerly homeless clients costs taxpayers less than emergency room visits, property crimes and incarceration. More effective because results show that almost 90% of Housing First clients retain their permanent housing compared to 75-80% of clients who complete the traditional continuum of care (The Housing First Program for Homeless Families: Empirical Evidence of Long-term Efficacy to End and Prevent Family Homelessness by Susan D. Einbinder and Tanya Tull, Los Angeles, CA, June 2005). Durham’s “Ten Year Results Plan to End Homelessness” embraces the principles of Housing First to emphasize the creation of new permanent housing in our community. So what does all of this have to do with Genesis Home? A lot. Over the last two years, Genesis Home has taken steps to incorporate Housing First principles and best practices into its programming. Admissions have been streamlined to allow for faster entry into Family Matters. Housing assistance for rental and utility deposits is provided to graduates to expedite their placement into permanent housing. The agency’s mission statement was revised to emphasize the importance of “housing” over “shelter”. But the biggest step that the agency has taken over the last two years was the addition of its Turning Point program in late 2006. It is clear that Turning Point is helping some of our community’s most vulnerable and at-risk families. While permanent housing is a new direction for the agency, the program taps into the agency’s expertise in serving families while moving the agency closer to a true Housing First model. While the approaches are different, it is striking to see the similarities between the families at Turning Point and the families in Family Matters. Both groups are working to create better lives for their families, and both have realized that they need help to make their dreams a reality. While Turning Point marks a new chapter for the agency, it is an endeavor consistent with the mission and vision of Genesis Home’s founders: To make homelessness history for families in Durham. Looking for a way to really try to end homelessness? Genesis Home seeks candidates for a full-time Director of Housing Services. Genesis Home works to end homelessness for families with children and for young adults by providing housing and supportive services to foster independence. Since 1989, the agency has provided a safe, stable place where families can come together, rebuild their lives, and prepare for permanent housing in the community. Genesis Home has been serving families in Durham for almost 20 years and is working to strengthen its ability to support families moving out of homelessness. The Director of Housing Services will supervise and support two full-time and 10 part-time staff members of the housing services team, assuring that the team works collaboratively and in the best interest of Genesis Home residents. A key responsibility of the Director of Housing Services will be leading staff in a collaborative planning process to identify ways to continue building on Genesis Home’s strengths and addressing the gaps in its current service delivery model. Following this planning process, the Housing Services Director will be accountable for designing, implementing, and evaluating programmatic structures necessary to provide consistent service delivery based on a sound set of principles. Further, the Housing Services Director will maintain compliance with all regulatory/funding requirements associated with housing services and assure the facility is secure and safe for all residents. The new hire may also have therapeutic responsibilities associated with program clients displaying MH/SA/DD-related disabilities. - Strong commitment to and passion for the mission of Genesis Home. - Demonstrated ability to supervise staff in a way that is empowering and committed to staff development. - Experience and familiarity with the issues facing homeless families. - Knowledge of local resources available to families and children. - Demonstrated ability to relate to culturally diverse staff and residents. - Experience with service strategies related to mental health treatment, substance abuse and recovery. - Ability to work as part of a team of service providers. - At least five years of progressively responsible work experience with homeless families or a similar population. 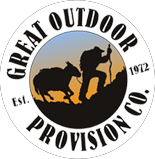 - At least five years of work experience with organizations providing direct services to disadvantaged populations. - Flexible, creative, and possessing a sense of humor. - College degree and/or equivalent work experience required. Graduate degree or equivalent experience preferred. - Basic computer literacy including proficiency with MS Office software. - Ability to communicate both orally and in writing. - Ability to communicate in Spanish, both orally and in writing, is desired but not required. 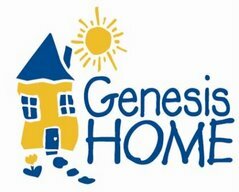 More detailed information about Genesis Home is available at our website: www.genesishome.org. The position requires the ability to work evening hours and some weekends. Genesis Home offers flexible work scheduling to accommodate the needs of parents and caregivers. The salary range for this position is comparable to other direct service organizations of our size. Starting salary ranges from $35-$45,000 depending on experience and educational attainment. Review of applicants will begin immediately and the position will remain open until filled. To apply, please send a cover letter, résumé outlining experience and skills, and references via email to ryan@genesishome.org . No calls please. Genesis Home is an Equal Opportunity Employer. Last Friday's long run was by far the most unpleasant one I've had in a long, long time. The alarm went off early. I was recovering nicely from my cold, but still tired. The humidity was approximately 157%. I begrudgingly headed to the Duke cross country course, took a deep breath of the soupy air, turned my iPod way up, and started putting one foot in front of the other. The rolling course was particularly hard; my pace was particularly slow (not to mention I was immediately soaking wet); and I was angry -- at myself, at the day, at the weather. With every step, I was fighting. The harder I fought, the more I obsessed about all of the things I couldn't control, the louder my negative self chatter got, the tougher the run became. Then, at the beginning of Sunday's swim, I felt a similar grumpiness: This warm-up has too many drills. I hate drills. 200 repeats? Yuck. This is not gonna be fun. Why did I wait so late in the afternoon to to this. I hate afternoon workouts. Then, I remembered my goals for the rest of this year. I stopped fighting and chose acceptance. Immediately, the workout started to fly by. Families new to Genesis Home often go through a similar process. They come into the program knowing that a lot needs to change in their lives, but the structure, rules, expectations are all new -- and sometimes pretty tough to swallow. The families that are most successful in moving themselves out of homelessness are those that accept all that Genesis Home has to offer. Well, I came back to work and promptly got sick. I won't speculate on any not so subtle potential meanings there, but it has meant that I've skipped several workouts this week. Instead of getting frustrated, I'm choosing to see it as an opportunity to practice my adaptation skills - crucial in multi-sport racing, right?! Genesis Home sees this situation play out all too often. Nearly half of North Carolina's workers, 1.6 million people, lack a single paid sick day. Thankfully a group of organization here in North Carolina is working to change the story. This broad coalition has come together to form the NC Paid Sick Days Campaign, which is pushing for passage of The Healthy Families, Healthy Workplaces Act, to provide North Carolina workers with up to seven paid sick days annually. You can learn the facts HERE. Can a governor end homelessness? The LA Homeless Blog asks that question of current San Francisco Mayor Gavin Newsome. I had the opportunity to hear Mayor Newsome speak at a conference last year. He was late to give his speech because he was chatting with a homeless man in front of our hotel. I wonder what North Carolina's current gubernatorial candidates- Bev Perdue and Pat McCrory- have to say about ending homelessness? Nothing like the alarm going off at 5:30 a.m. and knocking out two hours of speed work in the pool and hill repeats on the road before heading back to the office after two weeks away to alert one to the fact that vacation is OVER. Today's the first real test of that recommitment! Knowing that given enough time (and food! ), my own two feet could take me anywhere. Thinking about cadence and heart rate and electrolytes, instead of worrying about paying rent, feeding my kids, and making it to my next paycheck. Running unafraid in a neighborhood free from violence. Sleeping in on a day off thanks to the service of others. This morning I said goodbye to my baby sister, Holly, as she left home to enroll at the United States Naval Academy. Triathlon requires commitment. Ending homelessness requires devotion. But I have learned dedication from Holly. She had a dream and today it comes true as she begins Plebe Summer. This month, early morning alarms, long, hot runs, and endless yards in the pool are dedicated to her.